One match down, two to go for the Irish Rugby Team in this year’s Autumn Guinness Series. The game that everyone is looking forward to is Ireland versus the All-Blacks on the 17th November. The All-Blacks are ranked Number-1 Rugby Team in the world today and the Irish Rugby Team is ranked in 2nd Place. 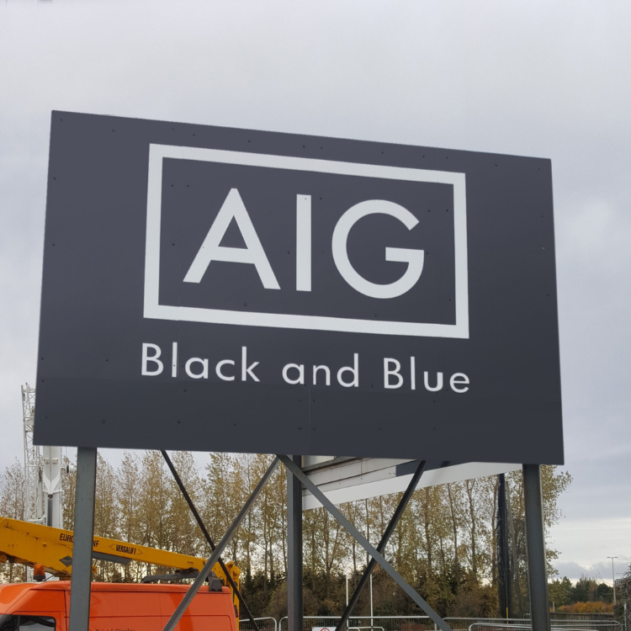 To celebrate this big event and of course to welcome the All-Blacks back to Ireland, AIG wanted to do something very special. And they knew exactly who to turn to turn to make this happen. iQ Branding Solutions. We arranged for a huge free-standing V-Sign to be placed along the N7 Motorway, a primary route in and out of Dublin City. Approximately 80,000 vehicles pass the sign every day. Suffice it to say, it is going to be seen a lot. 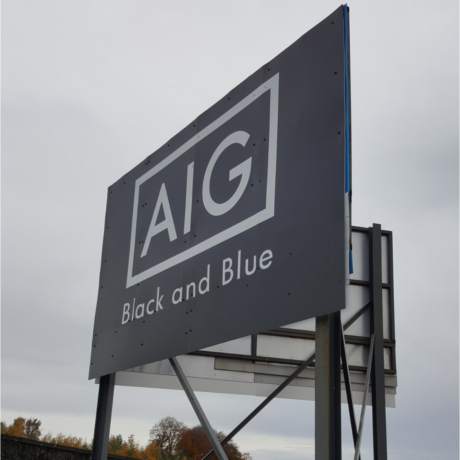 The sign has been branded with AIG’s special logo for the occasion “AIG Black and Blue”.